Tree PeonyDeciduous shrub. Long-lived plants bloom in early spring. Medium green foliage is deeply d..
Hairy PoppyEvergreen perennial. 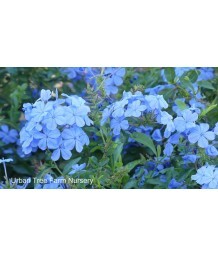 Narrow, toothed, slightly-hairy, light blue-green leaves up to six i..
Mock OrangeDeciduous shrub. A compact, rounded shrub prized for its highly fragrant white blooms in ..
Sweet Mock OrangeDeciduous shrub. 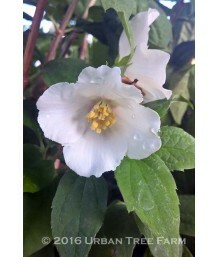 Mock orange is an upright, deciduous shrub grown for its very frag..
Mock OrangeDeciduous shrub. Fragrant white flower envelope the plant in early summer. A superb old-f..
CA Wild Mock OrangeDeciduous shrub. Green foliage contrasts with abundant double form flowers. 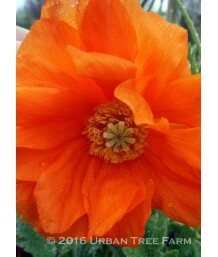 Bloom..
CA Wild Mock OrangeDeciduous shrub. 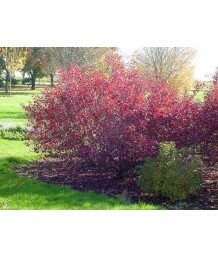 A rather beautiful deciduous shrub, growing moderately fast to 8..
Sweet Mock OrangeDeciduous shrub. This showy shrub is native to rocky slopes in Southern California ..
Mock OrangeDeciduous shrub. Stiffly upright, current growth with shaggy hairs, bark peeling when old..
Mock OrangeDeciduous shrub. Dwarf deciduous shrub with natural vase shape. Dense branches are covere..
Mock OrangeDeciduous shrub. 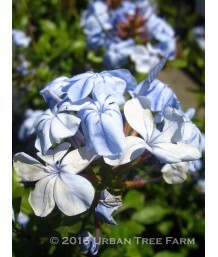 Fragrant, double white flowers that bloom profusely in late spring. It h..
Mock OrangeDeciduous shrub. Dwarf, arching habit. Oval dark green leaves. 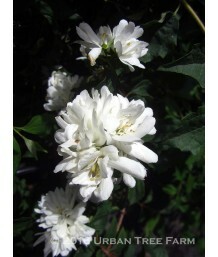 Fragrant double white flow..
Common NinebarkDeciduous shrub. Large, bright golden yellow maple-like leaves are a striking focal p..
Common NinebarkDeciduous shrub. 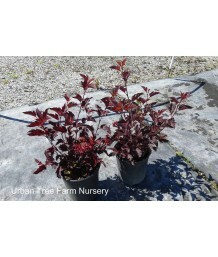 Intense reddish purple leaves with clusters of white or pink. Modera..
Common NinebarkDeciduous shrub. Pruned into a small, single trunk patio tree. Intense reddish purple..
Common NinebarkDeciduous shrub. Pruned into a small, single trunk patio tree. Compact variety with d..
Cape PlumbagoDeciduous (in northern, CA climate) shrub. Moderate growth rate. Sprawling growth habit..
Cape PlumbagoEvergreen or semi-evergreen shrub. Good cover for banks or walls. Leaves are Mounding h..
Cape PlumbagoDeciduous to semi-evergreen shrub dependent on weather. Upright climbing with long whip..
Cape PlumbagoEvergreen or semi-evergreen shrub. Good cover for banks or walls. Mounding habit with i..
CinquefoilDeciduous shrub. Brilliant summer color. Green foliage contrasts with masses of bright whi..
CinquefoilDeciduous shrub. Brilliant summer color. Green foliage contrasts with masses of bright yel.. Dwarf Red-Leaved PlumDeciduous shrub. Fast growing. Rounded form. Medium-sized reddish-purple oval l..
Flowering CherryDeciduous tree. Moderate growth rate. Elongated bright green leaves turn maroon in f..
Flowering CherryDeciduous tree. Pruned into a small, single trunk patio tree. Moderate growth rate. 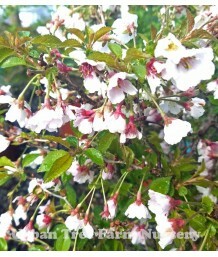 ..
ChokecherryDeciduous shrub or tree. Small form typically growing with an irregular, oval-rounded cro..
Ornamental PomegranateDeciduous shrub. Pruned into a single trunk tree. Lance shaped leaves are bron.. Dwarf Ornamental PomegranateDeciduous shrub. Slow growing. Rounded mounding form. Small narrow yello..
Ornamental PomegranateDeciduous tree. Compact to medium-sized variety. The flowers are large, double..
Ornamental PomegranateDeciduous shrub. 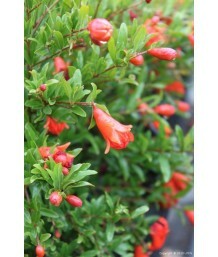 Showy, dense dwarf shrub displays attractive orange-red singl..
Ornamental PomegranateDeciduous shrub. Double, apricot pink flowers that are extraordinary in appea..